We have exploratory consultations that are completely free of charge and intended to equip you to make the best decision for you, your family and your business. Why Choose Us For Probate Assistance? We understand your needs. When a loved-one passes away without a will, the State requires a specific process in the Probate Court system. Our experience with successfully resolving the problems that arise during this process has helped many families bring their cases to closure with satisfaction. When you choose the best adviser, you can successfully accomplish your needs without disrupting your life and without losing any assets. We are the best adviser in Georgia and our track record proves this to be true. We can resolve your family disputes by streamlining the probate process and organizing the assets. Often the remaining heirs to a decedent's estate are left with stacks of documents, bills, and family members that can't seem to agree on how to proceed. We are here to get it all organized for you and establish a common ground between the heirs so disputes can be avoided and resolved. The court system can be unfriendly and uncaring. They deal with so many cases each year that they don't have time for compassion, empathy, and understanding. They just want to do their job of processing paperwork and go home at the end of the day. We are here to add empathy and caring to the process. Your family member may have passed away without a will, but that does not mean they did not intend to get your help with dispersing their assets correctly. The State of Georgia has a process that takes everything into consideration and ensures that your loved-one's assets are correctly handled. We are here to help you through this process without making any mistakes and without losing any of the assets. Put the legal expertise of Arkin Law’s probate lawyers to work for you! Protecting the assets and families of Atlanta. Dealing with the death of a loved one is often difficult enough. When it comes to handling their affairs after they are gone, it can make it even more difficult. If you are the next of kin or listed as the executor of the estate, you may find yourself handling all the financial and legal aspects of their passing, rather that processing your own grief. Probate is the legal process of authenticating a last will and testament if one exists. 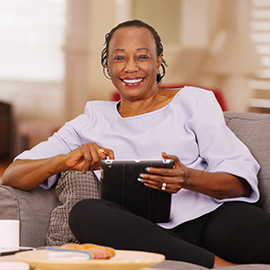 It includes locating and determining the value of the decedent’s assets, paying their final bills and taxes, and then distributing the remainder of the estate to their beneficiaries. Navigating the probate process in Georgia can be intimidating, especially if it is your loved one who is recently deceased. You can trust the legal team at Arkin Law to guide you through the process with compassion. Authenticating the last will and testament for validity. Once a person has died, it must be proven that it is current and valid, that it was not signed under duress. If legal changes have occured since a will was established — married, divorced, had children, or the executor or beneficiaries have died, it can render a will invalid. The person who is in possession of the will at the time of death is responsible for filing the will with the probate court as soon as possible. 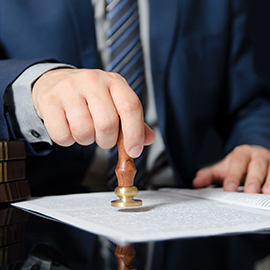 An application or petition must be filed, and this is the first in a long list of steps that your probate attorney can assist you with. In determining the validity of the will, there may be a court hearing to allow all beneficiaries and heirs to attend and be heard. A beneficiary is a person that is declared an inheritance by while an heir is someone who would inherit something by default. Appointing an executor or personal representative. The executor or personal representative will act on behalf of the deceased to execute the last wishes and settle accounts after death. Typically, an executor will be appointed in a will, but if one is not, the courts will declare the next of kin such as a surviving spouse, parent, or sibling. Locating and determining the values of assets. This is done by the executor of the estate and may require quite a bit of detective work. Sometimes there are assets that are not obvious and some that are even hidden. Your probate lawyer can help you with this process. Next, the executor will have to identify and notify creditors, and then settle any debts. Some debts will die with the person, while others will be settled out of the estate or passed on to surviving family members. Debtors have a limited amount of time to recoup funds before the estate can be settled. The final step is the distribution of the estate as declared by the will. This includes the transfer of deeds and contracting ownership of assets. If the beneficiaries are minors, a trust will have to be established. Your experienced probate lawyer can help with the entire probate process from negotiating probate cases and creating trusts. Avoid putting your family through the probate process with estate planning. Avoiding probate can help make the grieving process easier on your family in the event of your death. Not only is the probate process difficult for surviving loved ones, but some other reasons you should avoid it include the fact that it is a costly and lengthy process that prevents the division of your assets and closure for your family. Additionally, the probate process is public, meaning that everyone has access to the records and can hunt their way through your personal business and division of your most personal assets. Protect your privacy and the privacy of your surviving loved ones when you avoid probate. Here are some ways that you can avoid probate. Have a small estate. 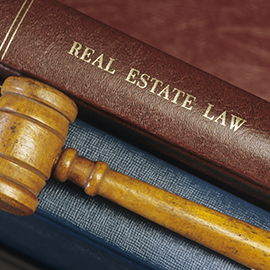 Most states set an exemption level for probate, offering an expedited probate process for what is considered a small estate. For most people, managing assets after death is not what drives their investments. Gift your assets while you’re alive. Instead of leaving your assets to family and friends after your death, gift them beforehand. This can also help reduce the amount of taxes paid, and, of course, the time it takes for them to receive the asset. However, this does not work if your death is unplanned or sudden. Make accounts payable on death. Bank and other accounts that are payable on death will immediately go directly to your designated beneficiary without going through probate.If you want to simplify things, you can ensure that all of your accounts are payable upon your death. Own joint property. All jointly owned property will automatically be left to the surviving owner, without probate. 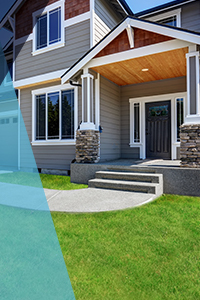 Commonly jointly owned property includes homes, vehicles, and bank accounts. Estate Planning. The best way to help avoid your estate going through probate is to estate plan. This can include setting up trusts for your beneficiaries and establishing wills and trusts. In the event of your death, your wishes will already be known and your family can avoid probate. Trust the legal team at Arkin Law for all of your estate planning and probate needs! At Arkin Law, we have decades of experience with estate planning in Atlanta. 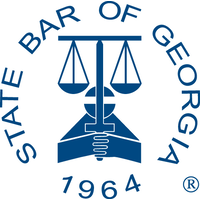 Our probate attorney can help you navigate the complex Georgia legal system to help make the process as smooth as possible for you and your loved ones. 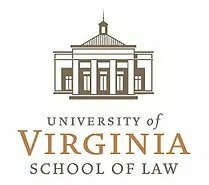 As always, we offer complimentary consultations with our probate lawyers. Contact us to schedule yours today! "Probate" is a legal process that handles the assets and debts left behind after someone dies. Estate planning involves preparing for the transfer of a person's wealth and assets after his or her death..
Not many attorneys or financial planners have the experience and skill it takes to plan for future disbursements of assets like that of the Arkin Law Firm. Our experience with many diverse situations for high net worth and middle class families has put us in a unique position to understand all variables associated with estate planning. Real estate, retirement accounts, insurance policies, heirlooms, and cash can all be managed within an efficient estate structure. 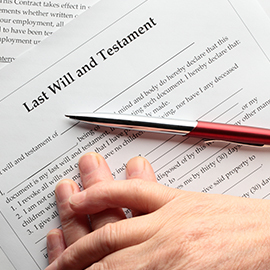 Let us help..
A last will & testament specifies a person's final wishes for distributing their possessions after death. In a Living Will, an individual defines how their estate and health is to be managed before they pass away. Many people overlook the importance of a Living Will. A smart will takes into consideration the many variables associated with the disbursement of assets upon one's death. Without a concise will, family disputes can erupt and assets can be expended before heirs receive their share. Are you living in a State that will take a large share of your estate before your heirs get their fair share? This taxation threat can be minimized with smart will structure and estate planning. By creating an irrevocable or revocable trust, you define how your assets and relationships are cohesively organized while you live and after you pass. Trusts often have efficient tax and investment structure that cannot be accomplished with a simple last will and testament. Often humans want to give to their fellow humans in addition to their rightful heirs. A foundation can be established as part of an estate for the purpose of giving to charity during one's lifetime and after they pass. Tell us more about your case so we can help you navigate through the Probate Process. We are experts with years of probate experience and success. Your next step may be the most important decision you make. Choose the best adviser.